The development of a new technique for labeling the body’s own transporters – exosomes - could have long term benefits in the treatment of life-threatening medical conditions, including cancer. Scientists at the Technische Universität Darmstadt, Ludwig Maximilians University Munich and the Leibniz Institute for Molecular Pharmacology have managed to introduce tiny antibodies into living cells. The researchers now report on the synthesis and applications for these nanobodies in "Nature Chemistry". NIBIB-supported researchers have created tiny gel particles that can perform the same essential functions as platelets. The particles could one day be used to control excessive bleeding following traumatic injury or in individuals with impaired clotting due to an inherited condition or as a result of certain medications or chemotherapy. Infection with highly contagious noroviruses, while not usually fatal, can lead to a slew of unpleasant symptoms such as excessive vomiting and diarrhea. Current treatment options are limited to rehydration of the patient. "Additionally, noroviruses come in a variety of constantly evolving strains. Neurons are the cells of our brain, spinal cord, and overall nervous system. They form complex networks to communicate with each other through electrical signals that are carried by chemicals. 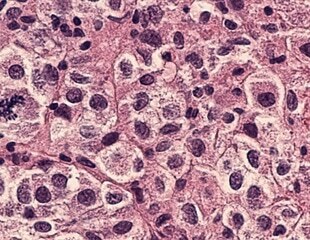 ​"When they are healthy, they look like tiny spheres; when they are malignant, they appear as cubes" stated Giuseppe Legname, principal investigator of the Prion Biology Laboratory at the Scuola Internazionale Superiore di Studi Avanzati (SISSA) in Trieste, when describing prion proteins. Antibodies and in the case of Ablynx, Nanobodies, can be raised and selected to bind with high affinity selectively to cancer cells in a tumour. Cancer cells are exquisitely sensitive to certain toxins such as the PBDs produced by Spirogen. Ablynx [Euronext Brussels: ABLX] and Spirogen Ltd. announce a research collaboration to evaluate the potential of a novel anti-cancer drug conjugate combining Spirogen's proprietary cytotoxic drugs, pyrrolobenzodiazepines (PBD), and associated linker technology, with Nanobodies® generated using Ablynx’s proprietary technology platform. Scientists of the Antwerp Institute of Tropical Medicine (ITG) opened a new front against the cause of sleeping sickness. This parasite is transmitted between humans by tsetse flies. The researchers learned a bacterium living in those flies how to produce antibodies against the parasite. Application in the field is still a long way of, but the technique shows quite some promise. Bacteria are omnipresent - in the water, the air and the soil, as well as in plants, animals and even people. We tend to think of bacteria as pathogenic, causing disease. We associate them with intestinal upsets and throat infections, pneumonia and blood poisoning.